22/01/2019 Millennials form a major chunk of the total market share for spirits consumption, here is how you can cater to this market. The rise of the craft distilling movement has coincided to a large degree with the rise of the millennial generation as the most important customer demographic for spirits producers. So it’s perhaps no surprise that restaurants have picked up on this trend, looking for new ways to attract young millennial spirits drinkers by featuring artisanal cocktail creations and plenty of opportunities to sample the newest, most innovative craft spirits. If there’s one marketing approach that really resonates with young millennials, it’s the focus on the story or narrative behind the brand. As a result, all spirits marketing in restaurants should be connected with real, authentic stories that resonate with young restaurant goers. A good example of this trend is the intense interest that millennials have in local, artisanal and hand-made products. If you are going to focus your marketing efforts around spirits, then, focus on artisanal craft distillers. If you don’t already have a craft spirit on your drinks menu, now is the time to add one. Here is perhaps the greatest disconnect between the younger millennial generation and the older Baby Boomer generation. Whereas older spirits drinkers focus on well-known national or international brands and traditional labels, millennial spirits drinkers tend to favor smaller brands with a distinct artisanal focus. And they also favor bold, distinctive and unique labels over more traditional labels. They think nothing of embracing a bold, edgy local brand over a more established national brand. While older spirits drinkers may gravitate toward the same brand and the same label at every occasion, younger spirits drinkers are much more experimental. That really opens up the possibilities for restaurants. There are several options here. One option is simply to mix things up and make a few unique twists on classic cocktails, perhaps by substituting one traditional spirit for another. Just as easily, you could mix things up by adding new garnishes, new ingredients, and new mixers to a drink on your menu. This obviously puts a premium on continuous innovation and experimentation. Don’t be afraid to change up your cocktail menu continuously. Easy ways to embrace this trend including coming up with seasonal or event-themed drinks. The start of summer, for example, is a great time to introduce lighter, easier-drinking cocktails perfect for hot summer nights. And just about any major holiday or celebration - such as Valentine’s Day or even Halloween - is an opportunity to open up the doors to innovation. The idea here is simple: by continuously innovating, you are going to create word-of-mouth buzz as well as encourage repeat business. To establish the authenticity of your craft, artisanal offerings, try engaging with millennials on social media. The two platforms of choice here are Facebook and Instagram. Facebook is great for telling behind-the-scenes stories, interacting with super-fans, holding contests, and finding out what customers are really thinking. Instagram, in contrast, is a much more visual platform and is fantastic at showcasing a wide variety of your drinks and cocktails. Plus, as an added bonus, Instagram has seen the rise of the “drinkstagrammer” - the cocktail specialist who posts regular updates and photos about new cocktail creations. Often, these drinkstagrammers are not even bartenders or bar employees - they are simply DIY home cocktail enthusiasts who really enjoy showcasing their latest creations. 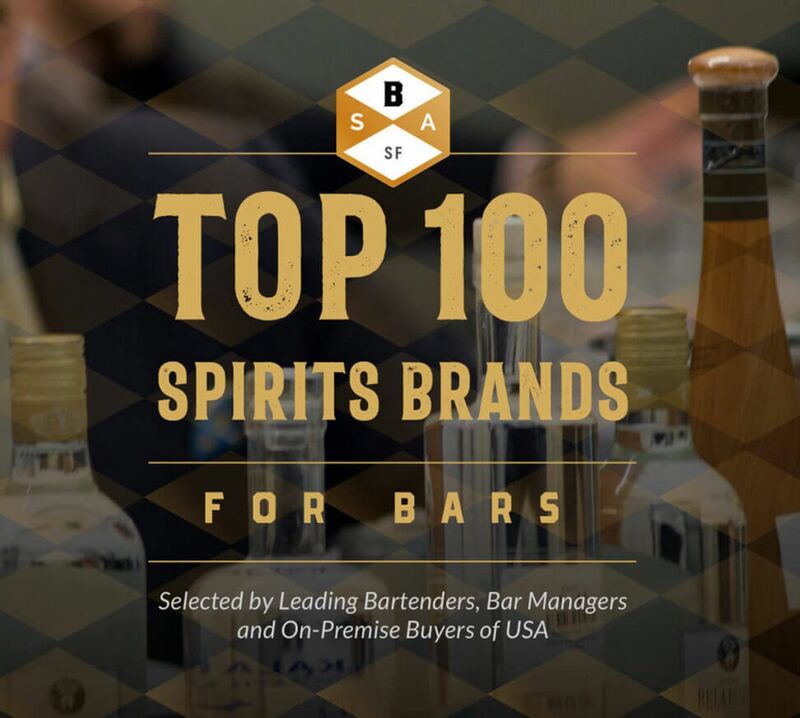 So, you can also get in on the trend in order to achieve success with spirits marketing in restaurants. Take advantage of tools like hashtags, which enable you to reach a much larger audience of potential fans and customers beyond your immediate followers. And you can also leverage functionality like Instagram Stories, which enable you to combine a series of photos and videos into a single narrative that disappears after a 24-hour period. It’s a great way of posting often, while also not clogging up the social media feeds of users. As an added bonus, all new Instagram Stores appear at the top of the Instagram news feed, so you can always stay top-of-mind with customers. The craft spirits industry has seen its share of trends over the past 24 months, and it’s important to be able to jump on these trends before anyone else. In the UK, for example, artisanal gins are having a moment right now, and craft gin distillers are constantly coming up with new flavors and colors. Pink gin is big right now, and one big reason for that is that pink gin is the type of bold visual aesthetic that does very well on Instagram. In the United States, flavored whiskeys are also very popular right now, and many artisanal distillers are rolling out small-batch flavored whiskeys that boast flavors that range from sweet to spicy. Another big trend, now popular on both sides of the Pond, is the hybrid spirit. The best example here is vodquila, a mix of vodka and tequila, or rumquila, a mix of rum and tequila. But you don’t have to be a spirit hybrid to catch the attention of millennials. For example, spirits from unusual or up-and-coming regions can also make headlines. Whiskey, for example, no longer has to be distilled in Tennessee or Kentucky. Gin no longer needs to be distilled in Britain. And vodka no longer needs to be distilled in Eastern Europe or Russia. Thus, being able to display a craft spirit from a hot new region is one way to market spirits to customers. The message here is clear: come to our restaurant and experience things that you can’t experience anywhere else. The best marketing you can get today is an authentic peer review, preferably by a trusted friend or colleague. Online review sites like Yelp are tremendously important for the restaurant industry, so don’t be afraid to ask your customers to leave a review for you online. Along the same lines, don’t be afraid to ask for a “like” or “subscribe” on social media. That, too, is a form of social proof that can help to demonstrate to others that you offer a superior restaurant experience. There’s perhaps nothing better, from a marketing perspective than an expertly photographed cocktail from your bar on Instagram. Friends and followers might be tempted to visit your restaurant, simply on the basis of a single photo. Spirits marketing in restaurants can get a real boost from understanding not just who your core customers are from a demographic perspective, but also from getting insights into their tastes, preferences, behaviors, and values. The more that your spirits marketing can line up with these, the greater is the likelihood of enticing them to visit your restaurant in the future.